We are the Chula Vista movers, the professional moving company to go-to for moving services in Chula Vista and all throughout San Diego County. 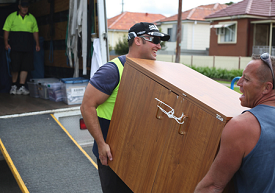 We have moving help available 27/4, everything from piano movers, long distance movers, furniture disposal and more. We rent out trucks that are big enough to fit your stuff whether it is for residential or commercial purposes. If you have your own pickup truck but not enough muscle, we have movers and packers to assist you in packing and carrying the boxes around per hour. We have some boxes ready for you to use in case you don’t have enough, as well as containers for all your valuable things.. Unlike some moving companies in Chula Vista, some of our boxes are already labeled fragile. Those are the boxes where you may put the breakable items and have them placed in the truck carefully and for the other movers to know. Fragile stickers are also available if ever you have the breakable items like plates, chinaware and ceramic figurines already packed in your own container. Apart from stickers and boxes from our professional moving company, we also have the right wrapping materials for your items, furniture and piano.. It keeps the furniture clean while being moved to your new home or your new office. ​Hire our moving labor help today! Click here to speak to a professional. As one of the professional yet cheap movers in Chula Vista, we serve families and communities who are in need of a house or office movers, without compromising the quality service we guarantee. ​We are a residential and commercial moving company. So carrying your desktop computer, boxes of stuff and trinkets on your cubicle and your tables and chairs mean having more men to carry the load from your office to the truck. Relocating to a new office should not be a hassle. With competitive rates that are at par with our moving service, we guarantee assistance to your office relocation as a crew from the packing to the unpacking of your belongings. You can even watch us pack and tape your stuff into the boxes as proof that you can always have the items in them the way you wanted them placed. This ensures items would be transferred appropriately to the new business location. Offering both hourly movers or a one-time charge, we usually send out two men and a truck, but should you need more helpers we have all the men power to assist. 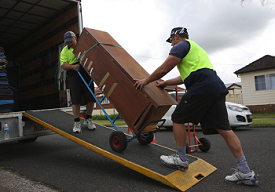 Of course, we also provide moving assistance to people from their old home to their new home. We understand your need to stay within your budget parameters. But a smooth transition is best displayed with the way your items are moved in your new abode. 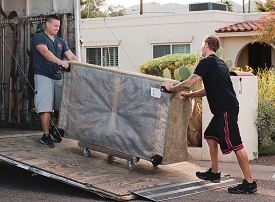 Whether that move is a short distance, long distance moving or just a few blocks away, or to the next city or state; our professional moving company in Chula Vista will keep an eye on your things the way you have diligently taken care of them. ​Learn more about us here. Moving to a new area means having a new life without letting go of the items that you have invested and taken care of so long during your stay in your previous home. That means having some heirloom items that had to be preserved in the best way possible. This is why blankets have been included in the list of items used in keeping the fragile items in place. Blankets absorb the impact while the truck is moving your things around while packed and boxed in the trailer truck. Best Moving Services in Town! ​How does the meter tick when having us as your local movers in Chula Vista then? This is taken into consideration knowing that some of you may have your own pick-up truck but not enough men to carry the weight around. That is best seen on our quotes readily available for you by request. Factors like fixtures, dining sets, additional seats or some other item that only remembered including because you saw it in the garage or in the kitchen. Our crew is ready for the unexpected. We are here as the Chula Vista movers to lessen the load, figuratively and literally, from you. When in search for moving companies in Chula Vista and hiring moving help, whether long distance movers or local, it need not be complicated. Call us at 619-313-5545 or email us for coupons, and quotations. Let’s talk how our moving services can fit your needs! The preferred local & long distance moving company in Chula Vista, CA.